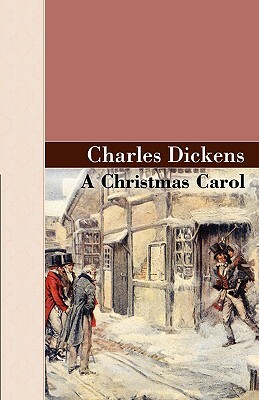 A Christmas Carol, by Dickens, Charles - Akasha Classics, AkashaPublishing.Com - A Christmas Carol, one of Dickens, Charles most enduring works, is the story of a truly remarkable transformation. Christmas is pointless - there is no profit in it. Money is the only thing that matters, and it is to be saved, not spent on such trifles as heating, a decent salary for your clerk, or frivolous celebrations. This is the attitude that Ebenezer Scrooge goes to sleep with on December 24th. Before the night is over, however, he will be visited by the Ghosts of Christmas Past, Christmas Present, and Christmas Future. Can these spirits help him see the error of his ways? Discover for yourself one of the all-time classics of the holiday season.